Detroit is a forthcoming American historical crime drama thriller film directed by Kathryn Bigelow and written by Mark Boal based on the 1967 Detroit riot. Previously Kathryn Bigelow and Mark Boal had successfully collaborated on films like The Hurt Locker (2009) and Zero Dark Thirty (2012). The release is being timed to commemorate the 50th anniversary of the event.The film stars John Boyega, Will Poulter, Algee Smith, Jacob Latimore, Jason Mitchell, Hannah Murray, Kaitlyn Dever, Jack Reynor, Ben O’Toole, John Krasinski and Anthony Mackie. The film will be released on August 4, 2017. 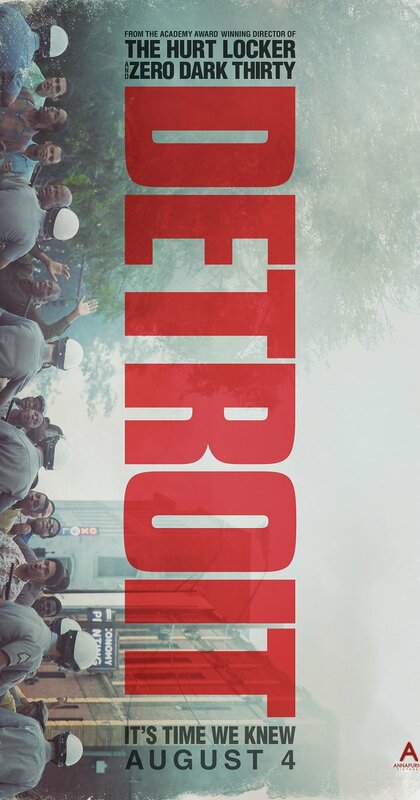 Plot-A police raid in Detroit in 1967 results in one of the largest citizen uprisings in United States history. The story is centered around The Algiers Motel Incident, which occurred in Detroit, Michigan on July 25, 1967, during the racially charged 12th Street Riot. It involves the death of three black men and the brutal beatings of nine other people: seven black men and two white women. Trailer of Kathryn Bigelow's "Zero Dark Thirty"
← Regional Cinema: What Prevents it from Reaching out to a Wider Audience?